The Imperial Duncan top is the classic orange plastic Spin Top! Just like the Duncan tops from the 1960's. J.. 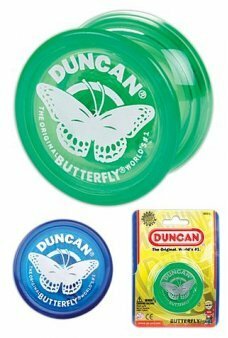 The Imperial Duncan top is the classic green plastic Spin Top! Just like the Duncan tops from the 1960's. Ju.. 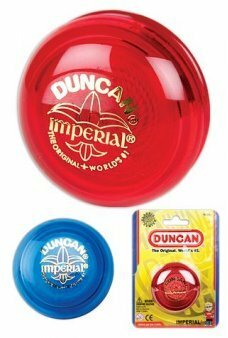 The Imperial Duncan top is the classic red plastic Spin Top! Just like the Duncan tops from the 1960's. 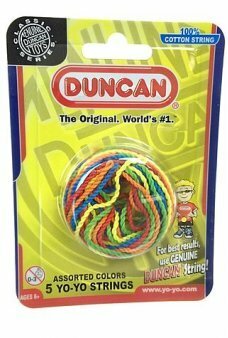 Just..
You get 5 colorful strings for your Duncan Yo-Yo. These 100% cotton strings will also work with Duncan Tops and st..